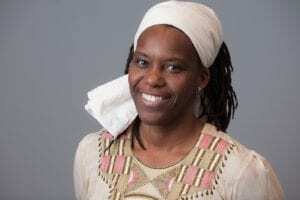 Aminata Cairo, a lecturer of inclusive education at The Hague University of Applied Sciences in The Netherlands, was born and raised in The Netherlands to Surinamese parents. As an international woman of color, Cairo has experienced firsthand the challenges of diversion and inclusion. Through her applied anthropological work with students and community organizations, Cairo has continually strived to promote inclusion at both the academic and community levels. In 2013, she received the Martin Luther King Jr. Humanitarian Award from Southern Illinois University in Edwardsville. And in 2016, she received the Honorary Order of the Palm, a state decoration by the Government of Suriname, for her contribution to culture. Cairo will speak from 7 to 9 p.m. Wednesday, Jan. 23, at the John W. Bardo Fine and Performing Arts Center. There will be a meet-and-greet with her after the speech. The event is free and open to the public. – Sunday, Jan. 20 – The Queens of WCU and Alpha Phi Alpha invite others to join them in participating in the Women’s March on Asheville at 11 a.m. at South Pack Square in downtown Asheville and conclude at MLK Park. – Monday, Jan. 21 – The annual MLK Jr. Unity March will take place on the WCU campus from noon until 2 p.m. The march will begin at the A.K. Hinds University Center. – Jan. 21 & Jan. 26 will be MLK Days of Service from 9 a.m. to 3 p.m. Interested students should contact Jennifer Cooper at jacooper@wcu.edu. – Tuesday, Jan. 22 – WCU students, faculty and staff are invited to join in to help make hygiene bags for homeless people in the surrounding area from noon until 5 p.m. in the UC Multipurpose Room. Also, 24 backpacks will be made for kids in an after-school program housed at the Pigeon Community Multicultural Development Center. Dwayne Tutt, WCU associate director for institutional research, will give a lecture about how Martin Luther King Jr. used religion and economics to build the case for the need for unions, in Room 244 of WCU’s Stillwell Building from 5:30 to 7 p.m. In the spirit of King’s vision, student organizations from across campus will come together for a Unity Program from 7 to 9 p.m. in the Intercultural Affairs lounge located in the UC. Students will make care packages, create dream boards and play the game Kahoot. – Thursday, Jan. 24 – Cairo will provide faculty, staff and students with inclusivity training that will equip them with hands-on tools to address some of the human interactions that might be difficult at times. The faculty and staff session will be from 9 to 10 a.m. followed by the student session from 1 to 2 p.m. in the UC’s Raleigh Room. A poverty simulation will be held from 4 to 7 p.m. in the UC Grandroom that bridges the gap from misconception to understanding. The simulation in an interactive, immersion experience that sensitizes participants to the realities of poverty. Registration is required for both Jan. 24 events. – Friday, Jan. 25 – Phamily Matter, a program about family dynamics and how family life can hurt or help a person and how it has shaped individuals in some way, will take place at Illusions in the UC from 6 to 8 p.m.
For more information or registration details, contact the university’s Intercultural Affairs office at (828)227-2276 or ica@wcu.edu.